Most people situated beyond Finland’s borders know little of the current political discussion surrounding traffic and transport in country. Sure, Finland is not the centre of the world. It has 5, 4 million inhabitants – not that many. It is situated in the north eastern shore of the Baltic Sea, far from the heartlands of Europe. On the other hand Finland is a member of European Union and thus has a word to say on European matters. That makes Finland and the other small European countries that like it are located along the 25th meridian east (Norway, Estonia, Latvia, and Lithuania) more influential actors on world scene, than they could be alone. A further reason, why non-Finns do not tend to be interested in such debates is Finland’s peculiar language. This forms a barrier for comprehension and contributes to a rather confusing array of languages that characterises the same line of longitude in Europe and which from the Arctic Ocean in the North to the Dardanelles Strait include: Norwegian, Finnish, Estonian, Latvian, Lithuanian, Russian, Polish, Hungarian, Romanian, Bulgarian and Turkish. Finland is a small nation of long distances. The distance from Hanko, on the tip Finland’s southern coast, to Utsjoki, its northernmost town is 1386 kilometres by a road, a distance comparable to that from Dieppe on the north coast of France to Vienna in Austria. The realities of this distance our conveyed to all Finns each and everyday when they pay for groceries in their local supermarket. How much do the potatoes cost? How much does it cost to transport the potatoes? The costs of freight logistics in Finland are 12% of its turnover, as compared to 10 % in Central Europe. Logistics issues are a surprisingly new topic in Finnish public discussions. In public debate and official enquiries railways play an important role. Yet still, road traffic accounts for 90 % of all transport and 70% of all freight (by tonnage) in Finland. Meanwhile 95% of the country’s imports and exports travel by ship nearly whereas their transport as airfreight is negligible. The reason for this bias lays in the fact that the road network in Finland is covers the country most comprehensively. Thus, debates and efforts are usually directed towards repairing damages from winter and widening the highways that connect to the country’s ten biggest cities. These debates do not involve much on logistics and they tend to relate more the allocation of insufficient resources between different regions. Maybe the experience of an open Russia and Baltic area has widened the scope of discussion in last two decades. Logistics in Finland have changed more in this time than during the preceding century. Surprising though it may seem, no railway connection existed across the Neva River in St. Petersburg until 1912. All bulk cargo, such as paper to Russia or corn to Finland, was transported by ship to and from the southern bank of the river. When the railway network was created before independence in 1917 to virtually the same extent as it is today, the logical and economically necessary supplement to the logistics system was a fleet of icebreakers. Now especially, railways are clearly at the centre of logistics debates while shipping, motor transport and air carriers are more peripheral. For a long time then Finland operated an independent logistics system in its subordinate position as a Grand Duchy of the Russian Empire and thus solving any logistics problems by local means. The 1905 scheme to electrify the railway line between Helsinki and St. Petersburg, and evolving from that the plan, to electrify the entire Russian railway network both had the potential to change the basis for logistics in Finland. If realised, an efficient and economic electric railway network in Finland and in Russia stretching to the Far East, to Western Europe and via temperate and never freezing ports to the rest of the globe would have revolutionised the Finnish logistics system. The icebreaking fleet would have become obsolete. But in 1917 revolution changed Russia. Bolshevik rule forced the closure of the border between the two countries. Finland continued and refined the ice breaking technologies that allowed it to conduct its foreign trade by the sea. Finland’s territory was reduced after the Second Word War with the province of Carelia including the country’s second largest town, Wiborg and significant industrial and railway assets becoming part of the USSR. Consequently the present day geographic, economic and logistics situation in Finland tends to stress the importance of the region around Helsinki known as the Capital Area. In the 1950s the Finnish railway network was considered complete, having undergone relative few extensions since 1917 and having contracted only because of the territory losses during the Second World War. The system functioned so that industrial products, mostly from the forestry industry of North Finland, such as cellulose and paper, was transported by rail to the northern ports on the Gulf of Bothnia and then transported by ships to America, Britain and many other places with ice breakers opening the water ways in the winter. A similar situation applied for southern ports. New motorways meanwhile exposed the railways to competition that they could apparently not withstand – at least initially. Yet during 1990s environmental consciousness and Russia and the Baltic Countries’ economic opening provided impetus to rethink the country´s transport logistics. 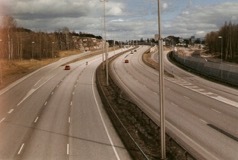 The growth of a wider urban region, or Capital Area, around Helsinki both in terms of population and economic activity, the global crises in the forestry industry, competition with other domestic forms of transport and the growing traffic in and out of Russia, collectively forced the railway lobby to innovate. The Capital Area now has 1.4 million inhabitants, of which 620,000 reside in Helsinki. Communal borders are still important in Finland. The Capital Area thus accounts for almost 25 % of the country’s entire population. The Capital Area has rapidly become the industrial, scientific, educational, and cultural and logistics pivotal point of the country. Helsinki may be the country’s biggest city, strongest commercial base, important industrial site and capital for over 200 years, but it has only risen to this overwhelming position in the last 20 years. This rapid growth has also created many problems in logistics and housing. Political as much logistical factors are at play when considering the realities of the Capital Area. Are Helsinki and its neighbouring cities just three amongst many others, and nothing more or should the Capital Area compete with other urban centres across Europe and the world, and thus radiate its gains and losses over whole country? After the spring 2015 election Finland’s government is now led by the Centre Party, the successor of Agrarian Party with much of its support in the countryside, in collation with the populist Thru Finns Party and the conservative middle class party, the Coalition Party. At this stage the government’s future logistics policy is still a mystery but something must be done to resolve a number of issues. 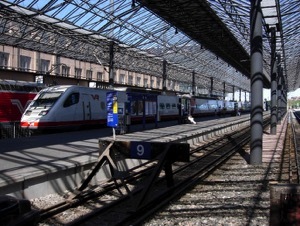 In the capital city itself, the Helsinki railway station acts a transport bottleneck that radiates its problems over the country’s entire railway network – in part because it is a terminal station located on a peninsula in the Gulf of Finland. The obvious solution to this problem would be to build an orbital railway in tunnels under the city. This would be beneficial in a two-fold manner because it would not only relive bottlenecks but would also multiply commuter traffic and thus prove to be a profitable business decision for the VR-Company, the traffic operating part of the former State Railway Company (Valtion Rautatiet, State Railways). The incoming commuter trains would no longer need to return on the same rails before their next journeys and instead the underground ring would form a city railway with many stations and the ring would lead the trains directly to outgoing mainlines. In this way commuter rail traffic would no longer disturb the long distance rail traffic and vice versa. The orbital railway lobby, consisting of, at the political level, the Coalition Party and the Helsinki City government says, that the scheme is of upmost importance to the whole country. The Centre Party sees it only as a local strategy that should not be financed with state funds. The lobbyists appeal not only to arguments relating to logistical improvements. They also highlight how the scheme has the possibility to create massive amounts of new housing along the improved transport lines. Similar arguments apply to the new metro line that will soon cross for the first time communal borders to the west. This line will begin operation next year after a 30-year long tug of war between supporters and opponents. It will also connect the eastern and western fringes of the Capital Area with Helsinki-Vantaa airport and Helsinki city centre. This is a significant victory for the railway lobby. Now the possibility of a rapid tramway connecting the east corner to the west corner of city Helsinki, on a more northern route than the metro, which is presently operated by busses, has been raised. The debate has been sometimes very bitter. But the railways and tram lobby is now winning ground constantly. It is still unclear what position the present government and the newly elected parliament will take. They have not yet expressed any views on the orbital railway and other rail schemes in the Capital Area. A further logistics scheme to have been raised is the possibility of a tunnel under the Gulf of Finland linking Helsinki with Tallinn in Estonia. This proposal hinges on the fact that it is technically feasible to build such a railway tunnel. Until recently the railway infrastructure of the Baltic countries was in a poor condition. Now with the support of the European Union progress has been made on the construction of modern railway lines between Tallinn, Riga and Vilnius, to Bialystok in Poland and beyond to connect with the rest of Europe. These developments lend impetus to the tunnel scheme between Helsinki and Tallinn. Of course, opponents say, the tunnel is too expensive and the ferries are far from obsolete. There has also been some discussion of a railway to the Arctic Ocean. The Northern border of Finland goes close to the coastline of the ocean, but never reaches it in any place. This situation has been a serious handicap for the whole of Finland and especially for Lapland, which as a result has suffered a loss of population and a lack of livelihood. Recently it has been proposed to build a railway leading to the shore of the Arctic Ocean with a harbour at Skibottn or at Kirkenäs or somewhere else in between these two. In recent inquiries made by logistics authorities in the north a railway to the Nordic Ocean is desired by local entrepreneurs. The idea has a realistic basis. In that case the line from East Europe and Germany through the tunnel from Tallinn to Helsinki and to the northern shore would provide a shorter way to the North-Eastern Water Way. A Baltic Sea orbital tunnel scheme with a tunnel under the Gulf of Bothnia of the Baltic Sea between Vaasa in Finland and Umeå in Sweden has until the present day not been much of a reality. To be more realistic the tunnel between Helsinki and Tallinn must be first be operation and the construction of the railway to Northern Ocean must be in progress. It is anyhow important to realise where there are possibilities to energise not only the Finnish logistics network but also that of the whole of Northern Europe. If Russia returns to cooperating with Europe, the scope for such a logistics scheme will be even wider. But here I am on the brink of pure speculation. The southern highway along the shore of the Gulf of Finland between the Russian border and the town of Turku in the west will soon be completed. Highways are now appearing by every city and town. But there is very little a discussion of logistics by road. Is it assumed that there are no problems with such a form of logistics? The focus is only on the finances. The soil frost in winter damages the road structures, which can then not stand heavy traffic. The repair costs and technical methods are rigorously debated but the same is not true of logistics. The logistics situation in Finland has stagnating since the 1950s. Even the director of the State Railways Company, Erkki Aalto, has expressed the opinion that railways are obsolete and will soon disappear. His views are mirrored in the strongest political opinions in the country. A comprehensive road network was constructed in the same decade but it was motivated more by the desire to improve employment rather than logistics. A revival of a real logistics debate has really happened in Finland, although much of its character is determined by political disputes, as in the case of the Helsinki orbital railway scheme, the lengthening of the Helsinki metro to the west and other projects. Perhaps it is good that the engineers do not rule society, but then the country’s new Prime Minister, Juha Sipilä of the Centre Party is in fact an engineer himself. Interesting times lay ahead.